January is upon us and we have settled in for a long, cold, harsh Indiana winter. As temperatures plummet into the teens and single digits, our time spent outdoors is limited. Luckily, Hendricks County fun is not limited to the outdoors. In fact, a visit to Hendricks County in the wintertime offers numerous options to keep you warm and well-entertained. This 4,000-square-foot facility offers multi-level family fun. Xtreme Lazer Tag located at 8131 Kingston St. in Avon is perfect to get that teen or tween in your household away from the television and into some physical activity, all in the name of fun, of course. There is an arcade in the lobby and concessions for when you may need a break. Open play hours are 5 to 9 p.m., Thursdays, 5 to 11 p.m., Fridays, 10 a.m.-11 p.m., Saturdays and noon-6 p.m. Sundays. Cost is $9 for one game, $16 for two or $20 for three. 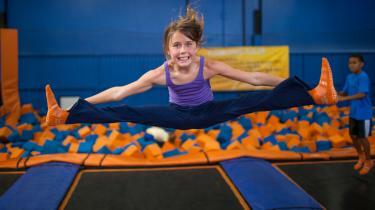 Dubbed the "Ultimate 3-D Play Experience for almost any age, shape or ability," Sky Zone, 851 S. Columbia Road, Plainfield, boasts wall-to-wall trampoline fun. In fact, the trampolines are even on the walls here. Whether you want to host a child&apos;s birthday, group outing or just burn some calories during open gym, a fun experience awaits. Open daily except Mondays. One of the newest indoor additions to the Hendricks County lineup will wear any child out. Kid&apos;s Planet along Northfield Drive in motorsports row boasts a giant, four-story play structure designed for children ages 2 to 14. The facility also offers a special area for kids 4 and under, so you don&apos;t have to worry about your toddler getting run over by bigger kids. The play structure features slides, a foam pit, tunnels, ball shooters and so much more. A large party room upstairs, concession area and arcade area round out this kid&apos;s play land. The facility is open daily. 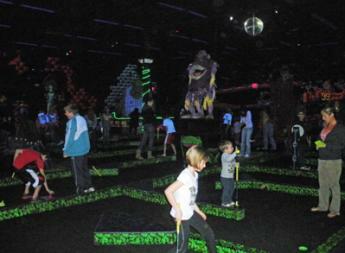 Monster Mini Golf in Avon is an 18-hole, black-light mini golf facility that is sure to please everyone in your family. My kids absolutely love the atmosphere. They offer arcade games in the lobby to add to the entertainment. Be sure to check their website for special events and contests as well as a virtual tour. This facility, 651 Vestal Road, Plainfield, truly has something for every taste. Multiple basketball courts, a running track, exercise equipment, fitness classes, concessions, a play area for the kids, an indoor water park and other amenities. Open swim in the indoor water park varies, but is available to the public every day from noon to 2 p.m. and even longer on weekends. The entire facility is open from 6 a.m. to 10 p.m. Mondays-Saturdays and noon to 9 p.m. Sundays, day passes for adults and children can be purchased. Families who love roller skating have a great option at Avon&apos;s Hot Skates, 241 Casco Drive. 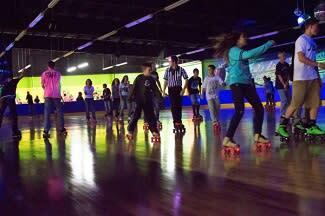 This roller skating rink and family entertainment center provides hours of fun in a clean environment. Hot Skates is open from 6:30-8:30 p.m. on Wednesdays, 7:30-10:30 p.m. on Fridays, 1:30-4 p.m., 4:30-7 p.m. and 7:30-10:30 p.m. on Saturdays and 1-5 p.m. on Sundays. Looking for something to really burn that energy for kids of all ages? Then JR Funnigans Jump-N-Play in Avon is a great choice! Jump-N-Play has several different inflatable activities for kids, including bounce houses, inflatable slides, obstacle courses and more. With a great snack bar and free wi-fi, you might be able to get a bit of work done while the kids play. Entry for children over 2 costs $7.95 and under 2 is $3.95. (Keep your eyes out on Groupon. They often have Jump-N-Play deals). Open 11 a.m.-8 p.m. Mondays-Fridays; 10 a.m.-8 p.m., Saturdays and noon-6 p.m. on Sundays. Hendricks County Parks and Recreation have many indoor events throughout the winter months to keep you busy. 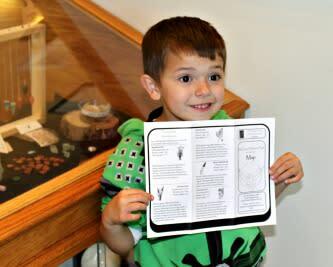 McCloud Nature Center is an interactive educational experience complete with their own bird-watching area. Just because it&apos;s cold outside doesn&apos;t mean you can&apos;t still enjoy the Hendricks County Parks. I have provided you just a snippet of some of the indoor options for fun in Hendricks County. Winter in Indiana can be cold and long, but winter in Hendricks County is never boring. Please be sure to plan a visit with us soon. The indoor playground located at 800 Dan Jones Road in Plainfield is designed for children ages 2-12. Using a beautiful faux tree as its central focal point, this indoor playground offers slides, ladders and obstacles perfect for running off some of that pent-up energy. With floor-to-ceiling windows and seats lining the edge for parents, it is as close to a park atmosphere as you can get in the wintertime. Admission is free when the facility is open to the public from 9-11 a.m. and 1-3 p.m. on Tuesdays and Thursdays. Enter Door #5 and let the fun begin.